Portable; does not require an install. 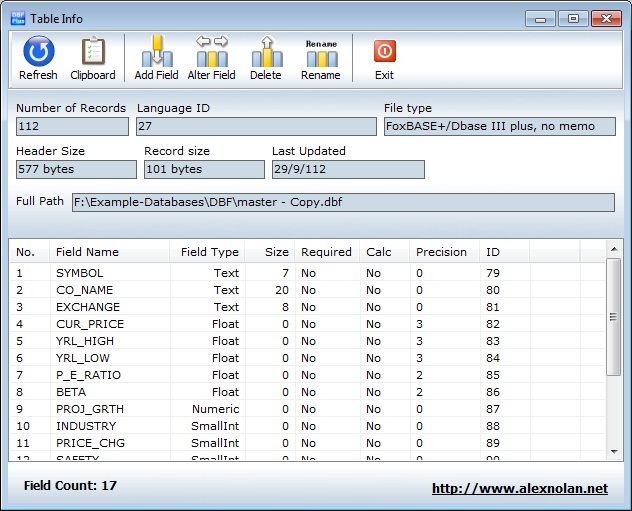 DBF Viewer Plus is a portable DBF database table viewer and editor plus some additional features for searching, importing and exporting to a number of different formats. 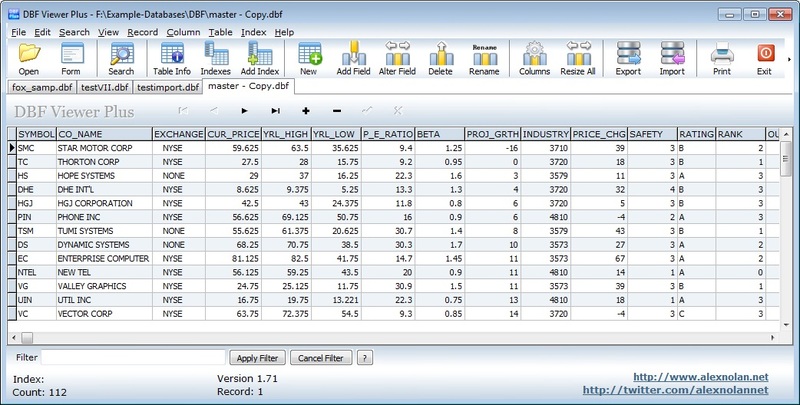 DBF formats include dBase, Clipper and Foxpro. Open and viewing DBF File. Filtering on multiply fields to query data. Add, Edit, Deleting and Updating records. Table Info displaying Record count, Type, Language type, Records size, Indexed, Encryption, Last updated, fields and field types. Export to formats such as CSV, PDF, XLS, RTF, WKS, XML, HTML, DBF. Import wizard with field mapping. Record View and editing screen. To edit the text in a memo field simply select the field RIGHT CLICK and select "View / Edit Memo field"
DBF Viewer does not require installation in order to run and therefore can be used to query data on a customers server without it needing to be installed first. It can be run from a CD or DVD and consists of just one EXE file. This utility accesses DBF Files directly and can filter large tables at a reasonable speed.